Pity Isn’t An Option Promo Tour!!!! Watch out for the review to this book on my blog sometime soon!!! Seventeen year-old Jonas Norton is trying to come to terms with what his blood disorder has robbed from him, including his two most favorite things: basketball, and competing in Hatchet Racket, Wanless’ annual hatchet-throwing contest. The facts that his father works constantly to pay for his blood tests and Jonas can actually see the disappointment in his eyes for being such a failure only make matters worse. And even worse than all of that? Jonas’ own twin brother, Micah, is perfectly healthy and becoming quite the basketball player. Also, Hattie, the girl Jonas has loved for forever? She has no idea how he feels. Sixteen year-old Hattie Akerman lives down the hill from Jonas. Though her father, Heath, tries to hide his lack of mental clarity behind the bottle and she’s pretty much given up on having any kind of relationship with him, she would still rather her younger sister, Lucy, not have to deal with the consequences of his behavior. Hattie helps her mother by baking food to sell at Market and looking out for Lucy. No matter what the rest of the town says about her crazy father, Jonas sticks up for them. He is, by far, her very best friend. As if things aren’t complicated enough already, Heath and Micah are unexpectedly drafted into President Kendrick’s army (an army from which no one ever returns) just days before Thanksgiving. When Heath disappears instead of arriving at the Meeting Place to check in, Hattie and Jonas decide they’ve had enough, and take matters into their own hands. And though nothing could have prepared them for what happens next, Hattie and Jonas learn that hope can be seen in every situation. You just have to know where to look. Suddenly, there are gasps all around me. Assuming someone in the Union is going crazy again and a tree is about to fall from the sky, I brace myself, and look around. People are pointing somewhere off in the distance. Within seconds, I hear sirens. Nothing good ever comes out of a draft. It only brings the bad. People pass out, parents try to fight the officers who are delivering the news about their precious children, some beg to take their place, others get sick—all are natural reactions. About two years ago, it just turned into one of those automatic things—if someone was drafted, then along came the ambulances. It’s the one time those who don’t have Kendrick’s insurance are allowed medical help. Just shows how sick he is. Jessica resides with her husband of over fifteen years, three awesome daughters, and a plethora of pets in Central California, where fog, frost, triple-digit heat and various items of produce arrive bountifully, depending on the season. She has an affinity for both coffee and owls, and loves to connect with fellow readers and writers on most social networks like Goodreads, Twitter and Pinterest. You can also connect with her on her blog, My Thoughts Exactly. 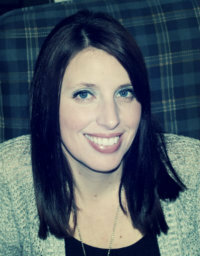 Jessica writes both young adult and adult fiction. 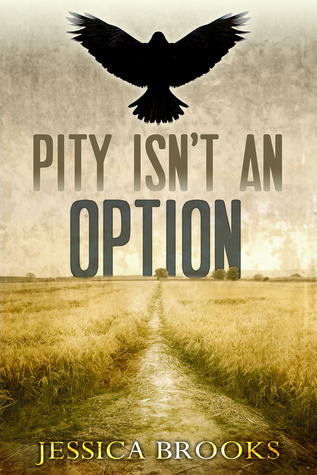 PITY ISN’T AN OPTION is her debut novel. Freshman year of college is hard even when you’re not tied to the future king of a supernatural society. Allie dives into college head first with Hailey as her roommate and the city of New Orleans as her backyard. As things within The Society heat up, Allie realizes that whether she’s with Levi or not, she’s in far too deep to turn back. Now let me tell you so much has happened to poor Allie. But man is she stubborn. I mean really how many times does Levi have to apologize to her about what he did and what happened to her? He was scared to death about what was going to happen to her when she was kidnapped. This time around though luckily Allie is with Hailey and makes some friends in college. Of course Levi does not allow any guys to go near her and makes a point of having Jared and Owen as her bodyguards. Which was great because you got to see a little more into these two characters. I love the friendship that builds between Allie and Jared, especially since she hasn’t been his biggest fan. Hailey and Allie go and spend Christmas break with Allie’s mom and Allie’s moms boyfriend. This time Levi doesn’t go with them, even though things have been progressing. It kinda sucked because I wanted her mom to get to know him better and show that he was going to be with Allie no matter what. I was like “wth” when they got picked up at the airport. I totally thought it was kinda pathetic that he was waiting for her like everything was going to be okay and they would get back together when she blatantly told him multiple times that it wasn’t going to happen. Not only do we find out that there was someone on the inside that was trying to hurt Allie but we also find out about someone in Allie’s past isn’t who we think he is. I can tell you I was soooooo shocked at the end of this book. It was insane. I am anxious for the next book to come out. Obviously since I have just helped host the cover reveal for the third book. Which I believe is the last and I will be sorry to see go. But I got it in the end. Really I did. I hope you all read this book too. It is definitely worth it. Constance started to keen as the air around us began to thrash and twist, the caustic scent of ozone burning my nose. As I watched, her dark gold hair began to lift and kink into knots. “I’m here. It’ll be okay.” It was the last thing I said before my best friend’s little sister went supernova in the second-floor girls’ bathroom, taking me with her. A month ago, Mo Fitzgerald risked her life to stop an ancient prophecy and avenge her best friend’s murder. Now, she only wants to keep her loved ones safe. But the magic—and the Chicago Mob—have other plans. 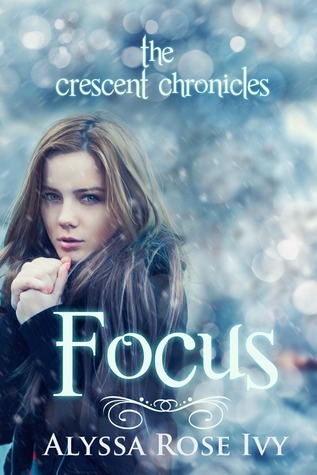 Mysterious, green-eyed Luc is back, asking for help—and a second chance. Colin, her strongest protector, is hiding a shocking secret. And inside Constance, the magic is about to go terribly wrong. 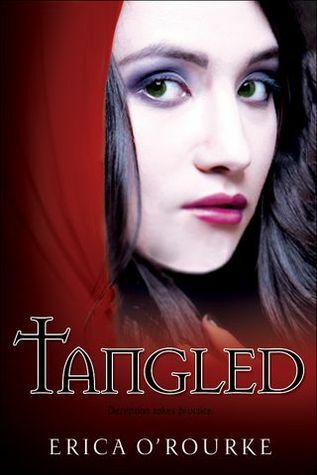 Tangled in a web of love and betrayal, Mo must choose between the life she’s dreamed of and the one she’s destined for. Oh wow what a sequel! Erica did a great job with this book. I loved the drama between Mo and Constance. I get why Constance was so angry, I mean who wouldn’t be angry about losing family members all over the place. I get why she treats Mo the way she does but I don’t think Mo deserves it at all. Oh lord I am still Team Luc although Colin definitely had his moments that were sweet and had me wavering a little bit on whose side I would want Mo to be on. There was just something more between Mo and Luc then there was for Mo and Colin. Of course Colin seemed more good then bad even with his affiliation with her uncle. He definitely had his reasons for working for her uncle. Still I really didn’t think they were worth it too much. I mean they were admirable but I wouldn’t do a life debt with a man like that. This time there was a lot of drama about the magic. Who knew that when trying to fix it, Mo and Luc would accidentally mess it up even more. I felt so bad for her because of the more guilt that she had on her because of everything. She never seemed to catch a break. This trilogy really surprised me so much. I am not going to give away anything but I definitely recommend reading these books by Erica. Mo Fitzgerald knows about secrets. But when she witnesses her best friend’s murder, she discovers Verity was hiding things she never could have guessed. To find the answers she needs and the vengeance she craves, Mo—quiet, ordinary, unmagical Mo—will have to enter a world of raw magic and shifting alliances. And she’ll have to choose between two very different, equally dangerous guys—protective, duty-bound Colin and brash, mysterious Luc. One wants to save her, one wants to claim her. Which would you choose? I had this book for a while before I decided to head into the trilogy to read. I don’t know why I waited so long. I absolutely loved Mo, Luc and Colin. They all had such complex relationships with each other and they all held their secrets close to their chest. I honestly loved the whole trilogy from start to end. Mo, who was also nicknamed Mouse by her best friend and well everyone, was quite spunky. I loved how she didn’t just take everything lying down. I loved that she cared so much about what happened to her and her best friend. She worked diligently to get those answers even though when she first met Luc he asked her, almost begged her to not look into it. She harbors major guilt about it and I felt so bad for her. I know I would have felt the same way. I loved the love triangle between her, Luc and Colin. At first I was for Colin because I really thought that Mo had the right impression about Luc. There was just something about Luc that I loved. 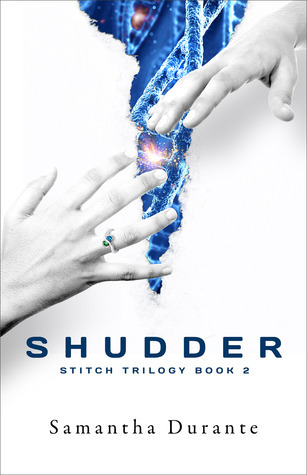 I pretty much stayed Team Luc after that for the whole trilogy, which I am sure you will hear more about tomorrow when the other two books are reviewed. I loved the way he treated Mo, not like she was this precious commodity but like she mattered and could handle what was thrown to her. Trust me a lot was thrown her way too. That twist at the end of the book! Oh My God!!! I didn’t see that coming at all which is rare, I read so much that I kinda have a good idea on what will happen throughout the book. But not these ones. I loved every second of this book, it was crazy and great all at the same time. Not long after an intense, heart-stopping first date, they are slammed to the core when a shocking revelation forces their new relationship to a sudden halt. Daily interactions become impossibly painful as they struggle to find a balance between the feelings that pull them together, and the secret that keeps them apart. From Goodreads. I bought this book back in January and waited until FOREVER to read it. I know I must have been out of my mind. 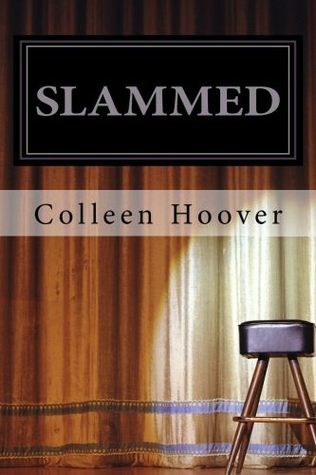 I am sure the hair dye must have made me crazy for a few months until I read this amazing book by Colleen Hoover. Trust me I thought I must have been insane to wait to read this amazing book. I get tired at times of the paranormal YA and I really enjoy the contemporary YA at times. This trilogy in whole is my number 3 in top 5 YA/New Adult contemporaries. Number 1 belongs to Jamie McGuire for her Beautiful Disaster and Number 2 is for Molly McAdams Taking Chances. So it just shows you Colleen is in great company. The book starts out with Laykin and her whole family (her mom and little brother) moving across country because her dad passed away and they were told that they needed to sell the house to survive. Once there she meets Will and his little brother. And all is good and well, they hit it off and everything seems great. Except that Laykin is still in high school, yea she’s 18 though but that doesn’t help what eventually ends up happening. There were so many moments that I cried over because honestly I don’t know if I could be strong enough to do what Laykin or even Will had to do. Will had a ton of responsibilities but knew that no matter how hard he fought he was falling madly in love with Laykin which was great because they were perfect for each other. Except because of one of the MANY twists in the book. One of the greatest parts of this book was that the characters felt real, they had their issues and weren’t close to perfect. They lied, hid secrets from each other, tried protecting each other, loved each other. I could literally see the characters together in my head more so than a lot of other book characters. They seemed so real thanks to Colleen’s amazing writing. I don’t want to give too much away because honestly you should have bought this book and read it. Don’t wait months like I did. Just do it already. It is definitely worth it. Every second of the whole book. After being brought up from the Assassins’ farm team, the Florida Rays to the Nashville Assassins, Tate hopes he’ll forget everything he has lost. He doesn’t. Each day gets harder to live in a place he doesn’t know. Even being the first rookie goalie to shut out an opposing team three times during the Lord Stanley Cup Finals, he still felt empty. With the loss of his parents and sister still heavy on his heart, Tate isn’t sure how to live like everything is okay. Or will another player ruin everything, leaving him feeling forever like an empty net? From Goodreads. Oh my god, she did it again!!! There isn’t a book of Toni’s that I haven’t fallen in love with. I am so happy I gave her books a chance. This time around it was Tate and Audrey’s story. Now I loved Audrey in the last book and I thought Tate sounded adorable. I also wanted to smack the crap out of her for dating and putting up with Levi. She is way, way too good for him. Luckily she got drunk and hooked up with Tate. Of course, she was stupid and decided to leave the next morning with out exchanging any kind of info. She eventually figures out who he is. I mean it was bound to happen since Tate is Lucas’ best friend. It also didn’t help that he was also her neighbor! Now do you see why I love Toni? 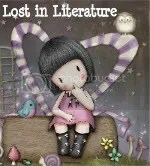 Her books are so amazing that they are, as of right now, the only adult books I have reviewed on my blog. But I felt that everyone should go out and buy all 3 books right now. There was so much to their relationship, her issue with his age, his family, her background, her physical and emotional issues. I was sooo happy that eventually everything came out and they were in a happy committed relationship together. Eventually Audrey was given AMAZING news and when she got home to get ready to tell Tate about it, she ran into Levi and things went downhill from there. I won’t give anything away about what happens between the 3 of them because it was crazy horrible and awesome all at the same time. I can’t wait for the 4th book in the series just so I can reread these books.